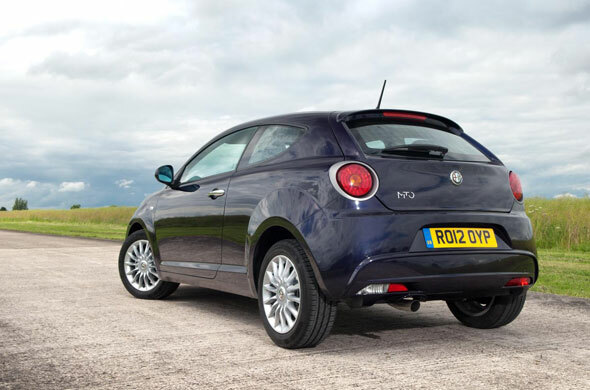 Will more drivers be tempted now MiTo has been given Fiat's award-winning TwinAir engine? Quite simply it's Alfa Romeo super stylish premium small car with an eco engine under the bonnet. The Italian firm has done this to make the car more appealing to a wider range of customers. Well, it's that two-cylinder TwinAir engine. The unit has seen the the light of day in the Fiat 500, Fiat Panda, Fiat Punto and Chrysler Ypsilon. And now Alfa can count the MiTo as a lucky beneficiary. The acclaimed 875cc twin-cylinder turbo powerplant with electro-hydraulic valve control technology. It delivers impressive fuel economy – although Alfa's figures might be a tad on the optimistic side – and sub 100 g/km CO2 emissions. The car is available in two trims – Sprint and Distinctive – priced at £14,150 and £15,350 respectively. A generous standard specification on the Sprint trim level includes 16-inch sports alloys, cruise control, manual climate control and Alfa's Blue&Me system. The Distinctive trim level adds 17-inch alloys and red Brembo brake callipers. Well it's mostly Fiat Group cars with the TwinAir engine – Fiat 500, Fiat Panda and Chrysler Ypsilon. You could always look at the diesel-engined Audi A1 1.6 TDI and Mini One D if getting the most MPG for your money is important to you. 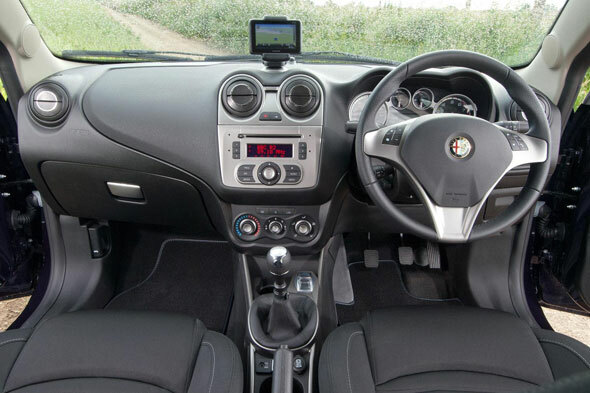 It's great fun - sporty, sprightly, agile and full of fizz, the MiTo is a real handful. It was hard to believe we were driving a car powered by an 875cc engine. It's different and distinctive. 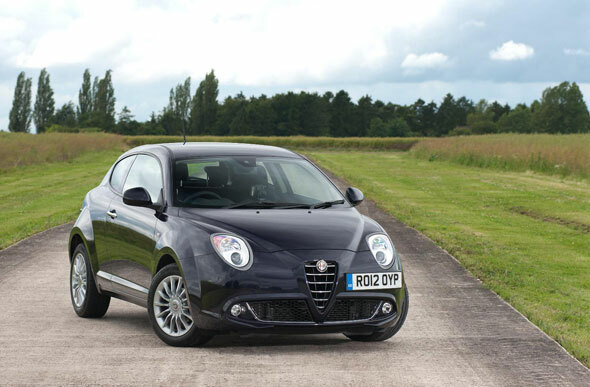 MiTo ticks a lot of boxes, but we'll take Alfa's fuel economy figures with a pinch of salt.